Crown lengthening is an oral surgery treatment that involves removing excess gum tissue, and possibly some bone, around the upper teeth to make them look longer. It’s a common procedure performed by Dr. Tran at Docdental Smile, dentists, periodontists, or gum specialists. Crown lengthening may be done for dental care and medical reasons as well as for the cosmetic effect. If there’s decay or fracture under the gum line, for example, crown lengthening can help expose more of the tooth’s crown in order to support a filling or crown. Advantages of crown lengthening: Unlike many cosmetic dentistry treatments, crown lengthening only needs to be done once, with no requirement for touch-ups down the road. 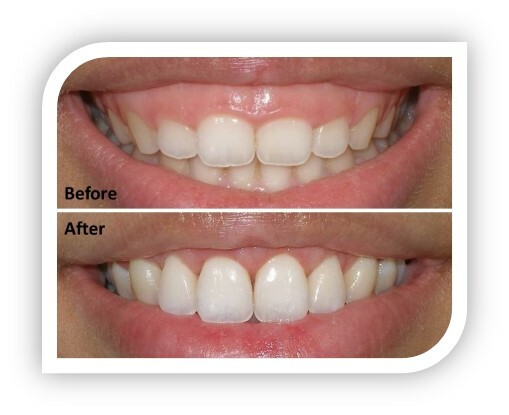 In addition to creating a wider, more symmetrical smile, crown lengthening can provide some dental care benefits as well. The surgery can usually be completed in an hour. If you’ve always been bothered by a smile that shows too much gum, crown lengthening may be worth the cost and the short-term discomfort. In addition, if you are especially susceptible to tooth decay, crown lengthening can make it easier for you to take proper care of your teeth and perhaps decrease your risk of decay. This entry was posted in Dental Blog, PROCEDURES. Bookmark the permalink.